This sample 14 day (13 nights) itinerary covers Both Azerbaijan and Georgia. 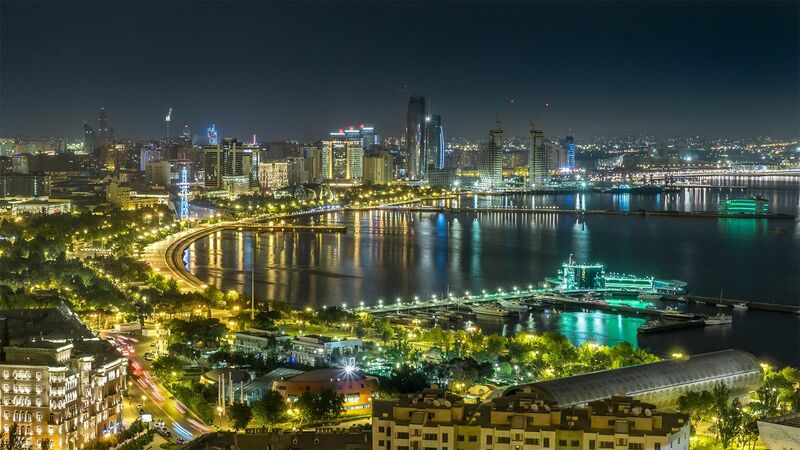 The overnights are in Baku, Sheki, Sighnaghi, Tbilisi, Kutaisi & Batumi. Transportation between destinations is by private transfer for maximum convenience and comfort. Our Destination Manager in the region provides assistance before and during your travels. They will be available to you leading up to the trip to answer any questions and arrange local services. You will be provided with information on the best these destinations have to offer including things to see and do, restaurants, entertainment and other insider tips. Upon arrival we will provide you with a local cell phone that you can use to contact our Destination Manager throughout your trip. In all of our destinations we offer a variety of accommodation options including boutique style hotels, charming B&Bs and spacious apartments ranging from a three to five star level. From our first hand experience we can ensure they are all clean, comfortable and centrally located. We generally discourage chain hotels but provide accommodations with unique features or an authentic feel. A city of love Sighnaghi awaits you today. 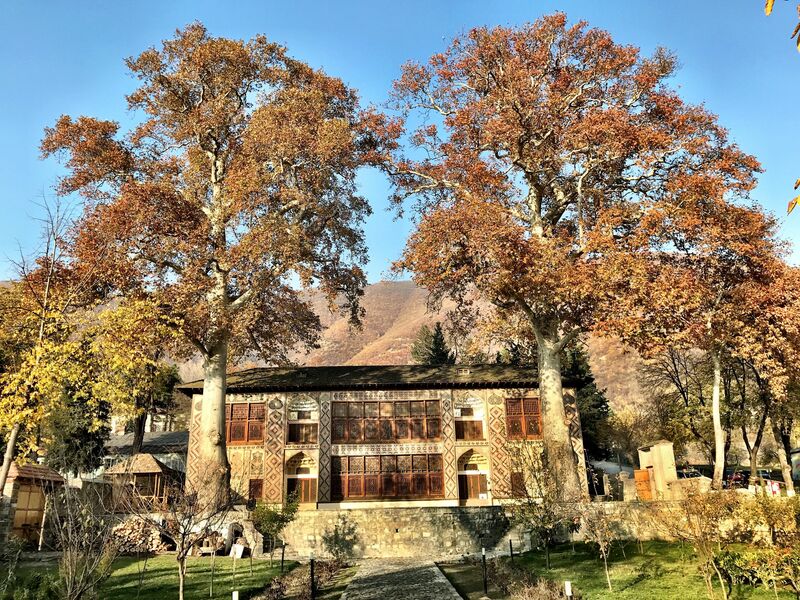 First, we'll arrange for a private car to pick you up at your accommodation in Sheki and bring you to your Sighnaghi accommodation. 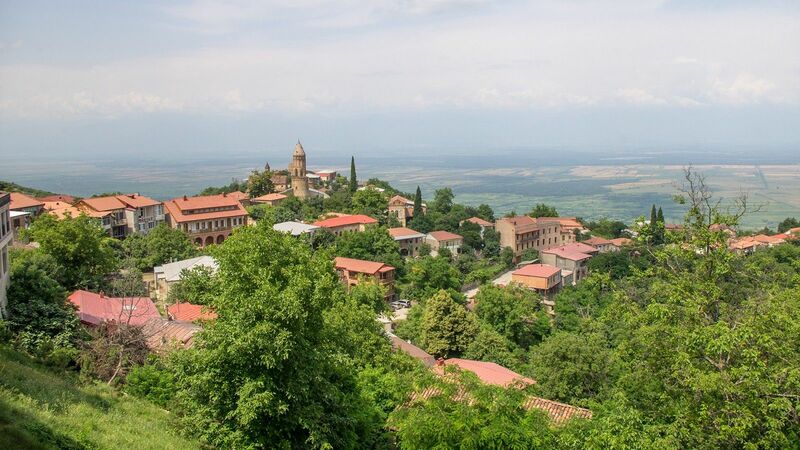 As you will pass through Gerogia's most famous wine region, Kakheti we included a few stops for you. Your first stop after crossing the border will be Khareba Winery where you can take a tour of the cellar and taste the traditional wines. 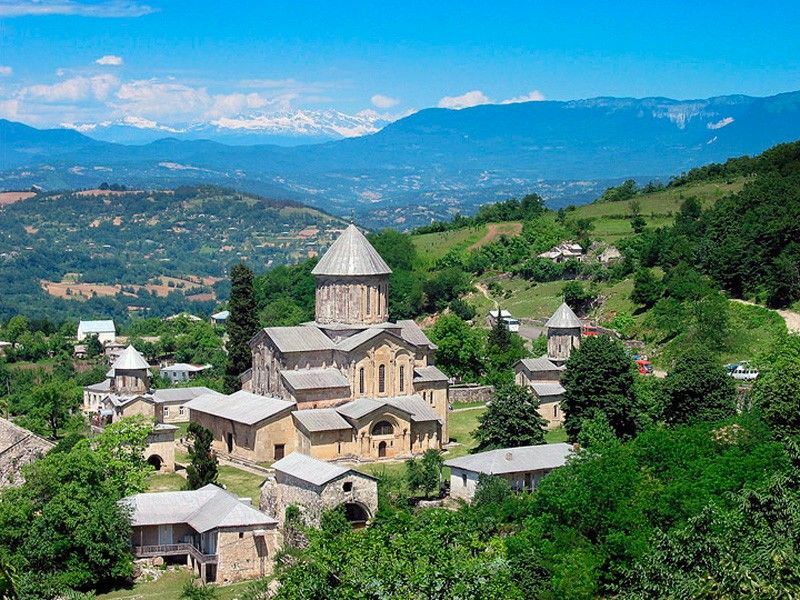 Then as you continue your drive you'll stop Gremi Monastery for a short visit to get familiar with the Georgian history and architectural heritage. Your next stop is Tsinandali Museum and Park, where you can take a lovely walk and taste the white wine nearby at Shumi winery. Optionally you can stop by the Mosmieri Winery and have an additional tasting if time permits. The vehicle used for your transfer will be a standard sedan, station wagon or minivan. The ancient Abanotubani District sits below the imposing fortress; the brick, domed rooftops of the baths bubble up like spring water. The district is the most historic part of the city, as according to legend, it was the sulphur springs that enticed King Vakhtang Georgasali to settle the land and declare it the new capital city in the 5th century AD. There were once more than 60 bathhouses in Tbilisi where people could get squeaky clean or stay for a soak, letting the curing Sulphur water ease their ailments. Fast-forward to today: there are five surviving bathhouses in the Abanotubani District where locals and travelers can experience a sulphur bath. 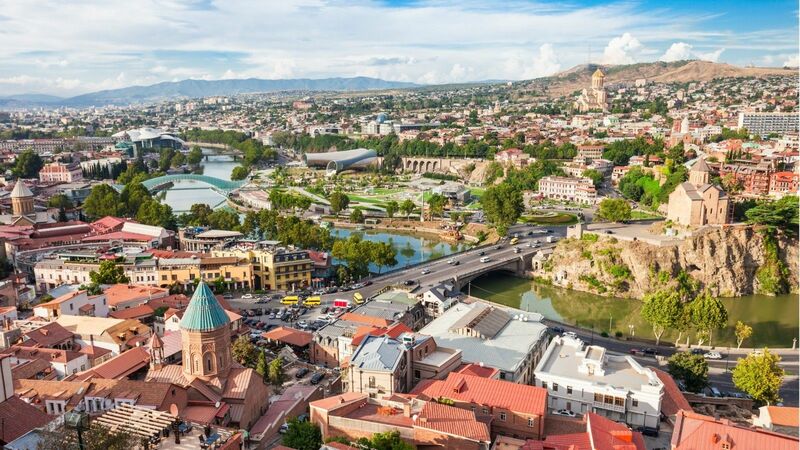 Be prepared for an interesting day today as you say goodbye to Tbilisi, hello to Kutaisi and have a brief visit to the ancient Georgian capital Mtshketa, Joseph Stalins birthplace Gori, Soviet cableways of Chiatura and Katskhi Pillar with the incredible church on top of the limestone monolith. Based on your preferred departure time, a driver will pick you up at your accommodation in Tbilisi and your journey to Kutaisi can start. The vehicle used for your transfer will be a standard sedan, station wagon or minivan. Depending on how many stops you choose to make on your way, you'll arrive in Kutaisi anytime from mid-afternoon to early evening. Your driver will take you directly to your accommodation in the city centre. On this 1.5-hour walking tour with an expert local guide you'll explore the most interesting sites in Kutaisi's Old Town. Some of the highlights include Bagrati Cathedral, the city market, and the White Bridge. Your guide will pick you up from your accommodation and drop you off there at the end of the tour. There's no better way to get to know this city quickly. This full-day excursion is the best way to get to know the beautiful and impressive countryside around Kutaisi. Your driver and guide will pick you up from your accommodation and you'll set out on the excursion. Highlights include the Prometheus Cave, Gelati Monastery, the Matvili and Okatse canyons, and the Kinchkha waterfalls. At the end of the excursion you'll be taken back to your accommodation. Wear comfortable shoes and clothing, and don't forget your camera! Today you are going to Georgia's summer capital Batumi and have a brief visit to one the largest and richest botanical gardens in the world and the ruins of ancient historical city-fortress Petra. Based on your preferred departure time, a driver will pick you up at your accommodation in Kutaisi and your journey to Batumi can start. The vehicle used for your transfer will be a standard sedan, station wagon or minivan. Capital of several historical kingdoms within Georgia, Kutaisi is today being revitalised after years of post-Soviet decline. Georgia’s parliament was transferred from Tbilisi to brand-new quarters here in 2012, and Kutaisi's airport has become a destination for international budget airlines. There are several interesting natural, historical and architectural attractions within day-trip reach of the city. Kutaisi is built around the Rioni River, with the city centre, first developed in the 17th century, on its left bank. To its north, the right bank rises up to an older area where the landmark Bagrati Cathedral overlooks the city. Depending on how many stops you choose to make on your way, you'll arrive in Batumi anytime from mid-afternoon to early evening. Your driver will take you directly to your accommodation in the city centre. On this 4-hour walking tour with an expert local guide you'll explore the most interesting sites of the old and new Batumi, that exist side by side in this beautiful Black Sea city. Some of the highlights include Alphabet tower, Batumi Boulevard, Dancing Fountains and the sculpture of Ali and Nino - the Romeo and Julia of Caucasus region. You will also see the old town with its mosque and a unique mixture of different cultures and religions, that all found a home in Batumi. The tour will take you to the beautiful Armenian church, pass the house dedicated to one of the Mafia bosses of the 90s, to a cathedral that was built in Neo-Gothic style. Your guide will pick you up from your accommodation and drop you off there at the end of the tour. There's no better way to get to know this city quickly. Wear comfortable shoes and don't forget your camera! The Nobel Brothers Batumi Technological Museum is an interesting museum that's well worth visiting. Here you'll find exhibitions and displays representing the technical and technological achievements introduced to Batumi in the late 19th and early 20th centuries. You'll have fun learning more about the activity of the Nobel Brothers, the Rotschilds, and more. With the help of the Nobel brothers, the technology behind transporting oil was greatly improved, which took Batumi onto the international stage. There are also exhibits on the development of tea culture and photography. Photo by Prokudin-Gorski, the first master of color photography, are definitely a highlight of the collection. Above the sprawling city, Argo Cable Car offers wide-open views of rooftops, sea, and lush hills that surround the area. At 250 m (820 ft) above sea level, this sightseeing center provides visitors with some unmatched views. Hop into a blue enclosed gondola with panoramic glass walls and head for a dramatic 2,586 m (8,484 ft) downhill ride. Snap photos of the mountains meeting the sea, featuring modern buildings and quaint neighbourhoods in between. You can also grab a drink at the center before heading down. Today we'll arrange you a driver to take you to the airport for your departing flight. Batumi is the most famous seaside city in Georgia. It’s a summer beach capital but it’s much more than just a resort. There’s been a huge amount of investment here over the past decade. Tourism is really taking off. You’ll get a great view of Batumi by riding the cable car stretching high above the city and the shore. There are plenty of nightlife options here, as well as excellent hotels and restaurants. You’ll notice the architecture and layout of the city are Western. The most interesting buildings, like the Technological University, are definitely worth exploring. There are plenty of things to do in Batumi, the second largest city in Georgia. The massive botanical gardens are an oasis amid bustling streets. There are also many interesting museums. And of course, there’s the beach. 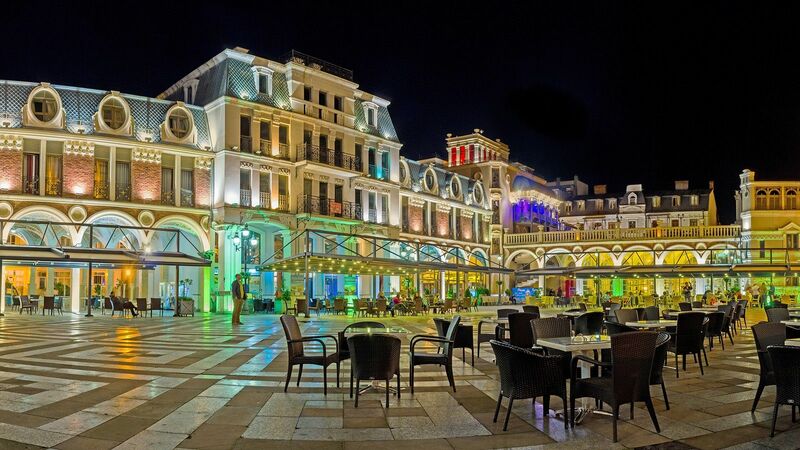 When you're visiting Batumi you’ll want to spend several days and nights. That way you can relax by the sea and also explore the secrets of the city.